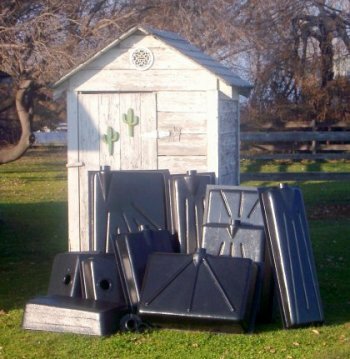 Icon has a wide selection of RV waste holding tanks to choose from, including 6 drain styles and many different sizes. Our tanks can be used for black and/or grey water. All tanks are available with or without the 3" spigot fitting and 4 level sensors installed. ABS Polymer adhesive and fittings are also available. Our waste holding tanks are constructed of tough ABS plastic for long service life. All seams are solvent welded and have a 1¼” mounting flange. Refer to the Holding Tank Measuring Guide to select the appropriate size and style of replacement tanks.